Western Australian brewing company, Gage Roads, is buying back Woolworths’ 23.5 per cent share in its company to focus again on making craft beer. 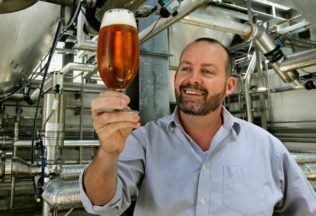 The Woolworths Group has held the share in the ASX-listed brewing company since 2009, and used Gage Road to brew some of its private label beers. Gage Roads is expected to pay Woolworths AUD $1.56 million for its share. “The proposed transaction gives our shareholders, and the Gage Roads management team, the opportunity to buy back the brewery and return Gage Roads to its founding ethos and heritage of being an independent brewer of high quality craft beer,” said Managing Director of Gage Roads, John Hoedemaker about the buyback. Since becoming a major shareholder in 2009, Woolworths has been providing production, supply and distribution support to Gage Roads. Gage Roads will continue to receive the support of Woolworths and brew for the supermarket group over the next three years with the possibility of extending this arrangement by two more years. Australian Food News contacted Woolworths in regards to this story but they declined to comment.